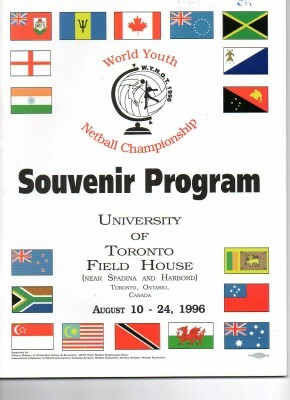 Players : Vicky Diss, Helen Lonsdale, Tracey Neville, Lisa Collins, Olivia Murphy, Katherine Burgess, Amanda Newton, Lisa Stanley, Michelle Andrews, Rose St Louis, Naomi Siddall, Chantelle Mortimer. 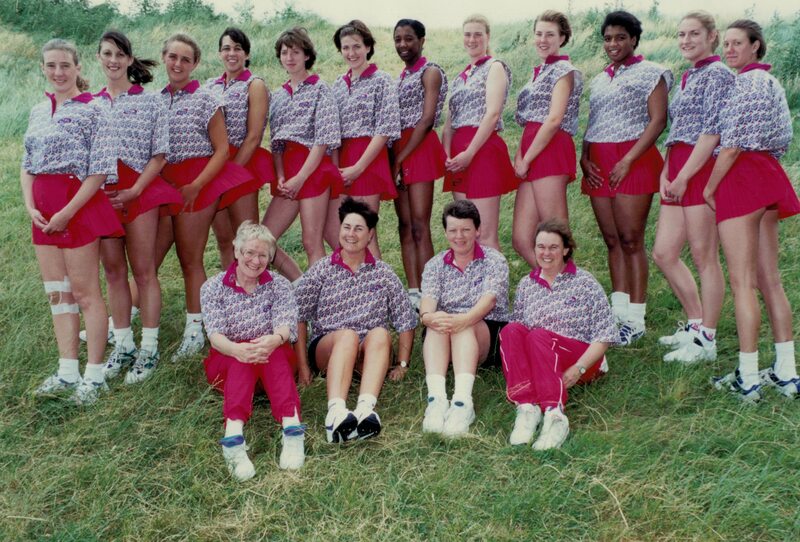 Management : Sue Dsndon - Physio, Denise Egan - Assistant Coach, Lucy Fawlkner - Team Manager, Mary Beardwood - Coach. 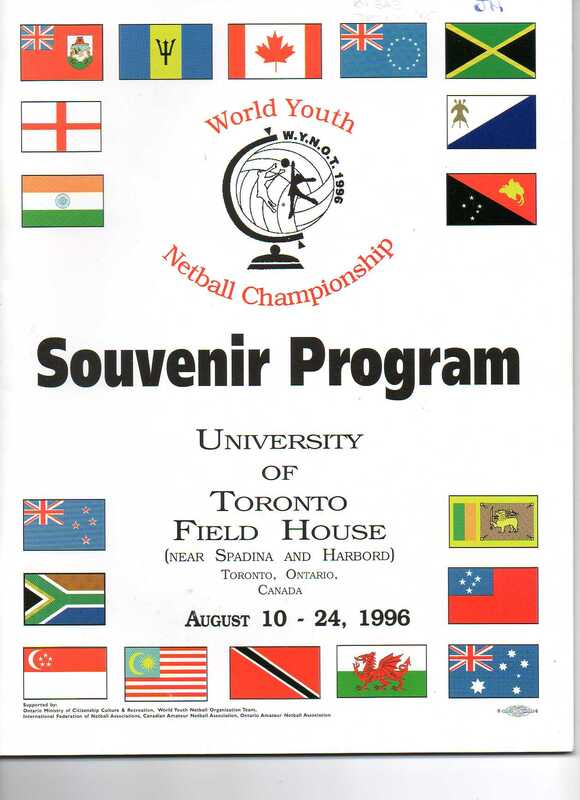 The 1996 Programme for the World Youth Netball Championship held in Toronto, Canada, in August 1996.